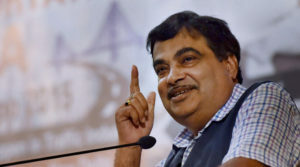 NEW DELHI: The government today said it has started integrated cargo transportation along multiple waterways, with a cement consignment from the banks of Rupnarayan in West Bengal to Bhagalpur, Bihar. Ministry of Shipping said in a statement today that MV VV Giri, a vessel of the Inland Waterways Authority of India (IWAI) began a landmark pilot movement on April 23 2017 from Kolaghat in East Midnapore district of West Bengal to Bhagalpur in Bihar with a cement consignment of 240 tonnes. The vessel’s journey commenced from Kolaghat on Rupnarayan river (National Waterway- 86) to reach Bhagalpur via river Ganga (NW-1). This marks the beginning of an integrated cargo movement involving two different NWs – NW-86 and NW-1. Rupnarayan river (NW-86) connects with river Ganga (NW-1) at Geokhali near Haldia. On its return trip, the vessel will bring fly ash/pet coke. The statement said a private cement company has committed a consignment of 1.20 lakh tonnes of cement per annum from its plant at Salboni in East Midnapore district in West Bengal to various destinations on river Ganga (NW-1) in Jharkhand and Bihar. It said many prominent cement companies have also shown interest in transporting their cargo through river NW-1, which the IWAI is developing under the Jal Marg Vikas Project (JMVP), with technical and financial assistance of the World Bank at an estimated cost of Rs 5,369 crore. The project would enable commercial navigation of vessels with capacity of 1,500-2,000 tonnes. Earlier this year, an IWAI vessel MV Zakir Hussain had transported 350 tonnes of cement consignment from Haldia to Patna. The government plans to make cargo movement on NW-1 (Ganga river) a regular feature. It said many prominent cement companies have also shown interest in transporting their cargo through river NW-1, which the IWAI is developing under the Jal Marg Vikas Project (JMVP), with technical and financial assistance of the World Bank at an estimated cost of Rs 5,369 crore. The project would enable commercial navigation of vessels with capacity of 1,500-2,000 tonnes.